HIGH POINT - Equestrian Trails Inc. The English portion of ETI horse shows is very diverse. 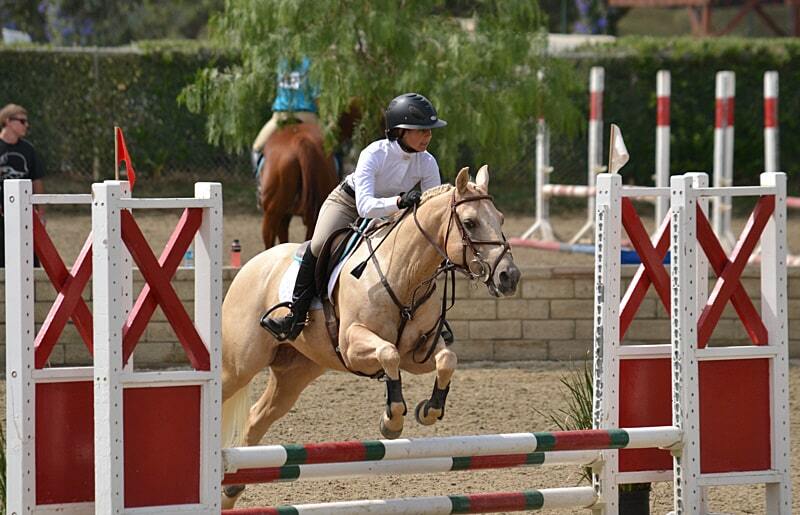 We offer Hunter, Jumper, Trail, Showmanship, and leadline (9 & Under). We offer hunters on the flat and hunters over fences. We have 4 different age breaks in our flat classes including: 13 & Under, 14-18, 19 & Over ATR, and Open. Flat classes include: equitation, hunter under saddle, obedience, and pleasure. 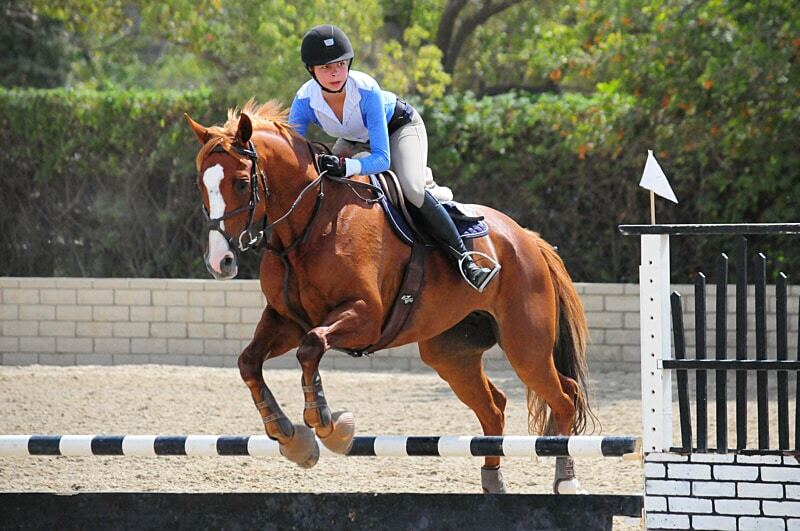 For our over fences classes, both Hunters and Jumpers we offer all Open classes. Our classes vary from trot crossrails to 3’ over fences, and everything in between. For beginners, whether it be horse or rider, we do offer walk/trot classes. Age breaks include: 12 & Under, 13-18, 19 & Over ATR, and Open. These classes include: equitation, obedience, pleasure, and horsemanship. 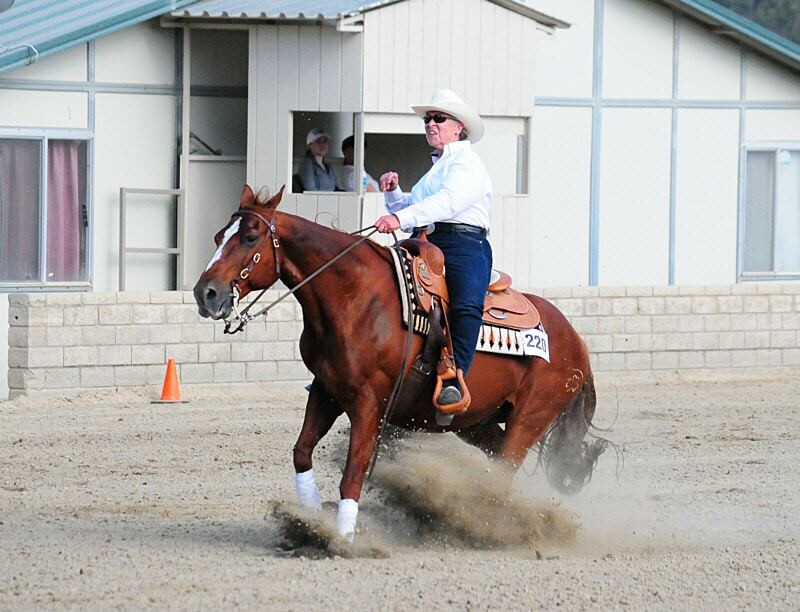 Our trail classes are held inside a trail arena and include the same age breaks for walk/trot and hunt seat riders. The trail course can include item such as: gates, poles, boxes, side passes, mail box, bridges, cones, and more. The Western portion of ETI horse shows is very diverse. 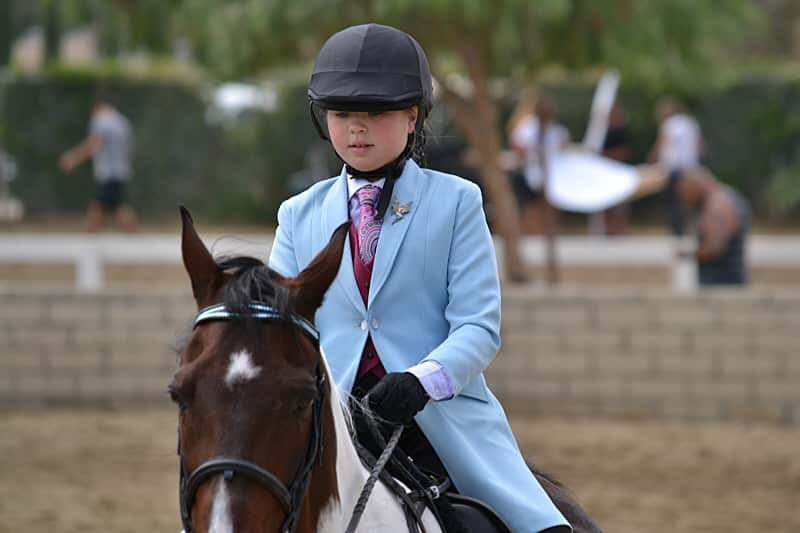 We offer Pleasure, Trail classes, Showmanship, and leadline equitation (9 & Under). We have 4 different age breaks in our pleasure classes including: 13 & Under, 14-18, 19 & Over ATR, and Open. 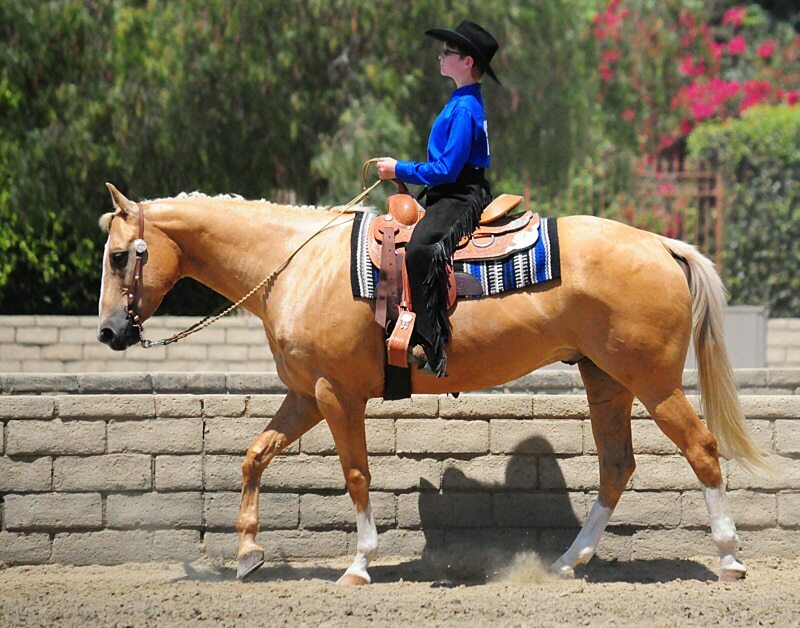 Pleasure classes include: equitation, country pleasure, western pleasure, obedience, and horsemanship. For beginners, whether it be horse or rider, we do offer walk/trot classes. Age breaks include: 12 & Under, 13-18, 19 & Over ATR, and Open. These classes include: equitation, obedience, pleasure, and horsemanship. Our trail classes are held inside a trail arena and include the same age breaks for walk/trot and pleasure riders. The trail course can include item such as: gates, poles, boxes, side passes, mail box, bridges, cones, and more. Ranch Horse is a new addition to our ETI High Point Show Program. 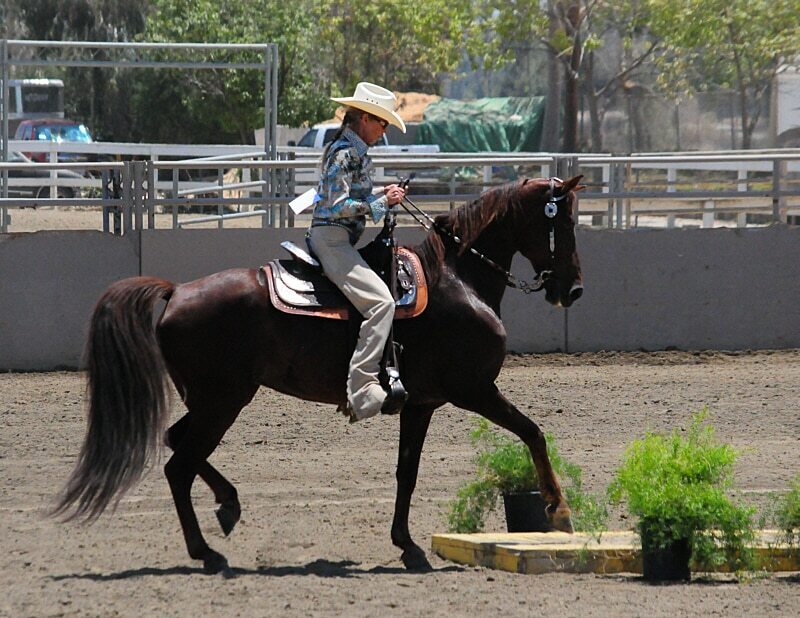 We offer three classes in this category: ranch horse reining open, ranch horse pleasure open, and ranch horse trail open. These classes are based on a pattern. We will be following the Stock Horse rules for these classes. They are open to everyone and are great classes for “ranch” type riders not looking to have all the “bling” on them and their horses. Our National High Point Program is on hiatus for 2019. We plan to continue again in 2020. You still participate in Corral 37, 101 or 118’s horse shows. Go to our Local Corral Event Calendar for schedules. Decide which classes you wish to compete in, by reference to divisions if you wish to be eligible for division year end award. Mail Registration Form, Division List Form and check to: ETI High Point Chair at address shown on registration form. 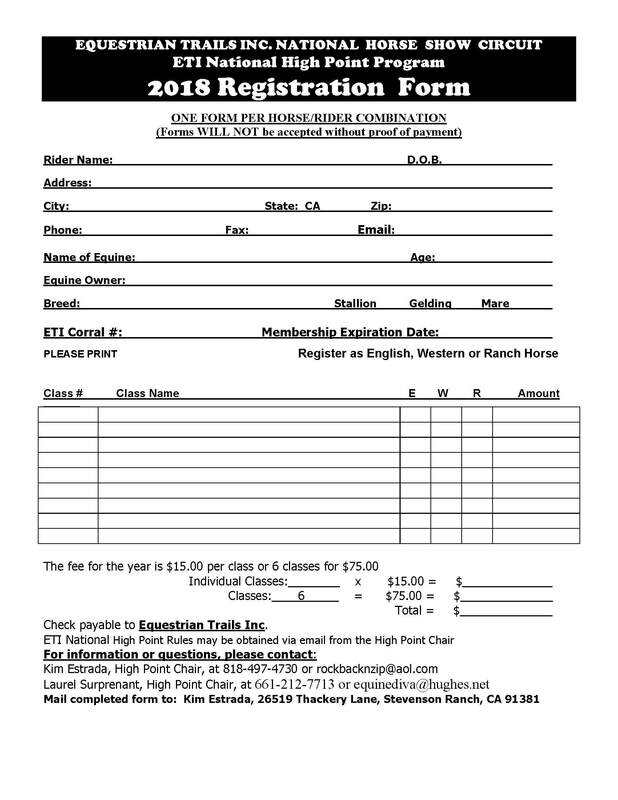 Become familiar for any special rules applying to your particular class, for instance American Stock Horse Association Rules for the Ranch Horse Classes, available online. Contact the either Co-Chairs Kim Estrada rockbacknzip@aol.com or Laurel Surprenant equinediva@hughes.net if you have questions. You may print a copy of the 2018 registration form here. 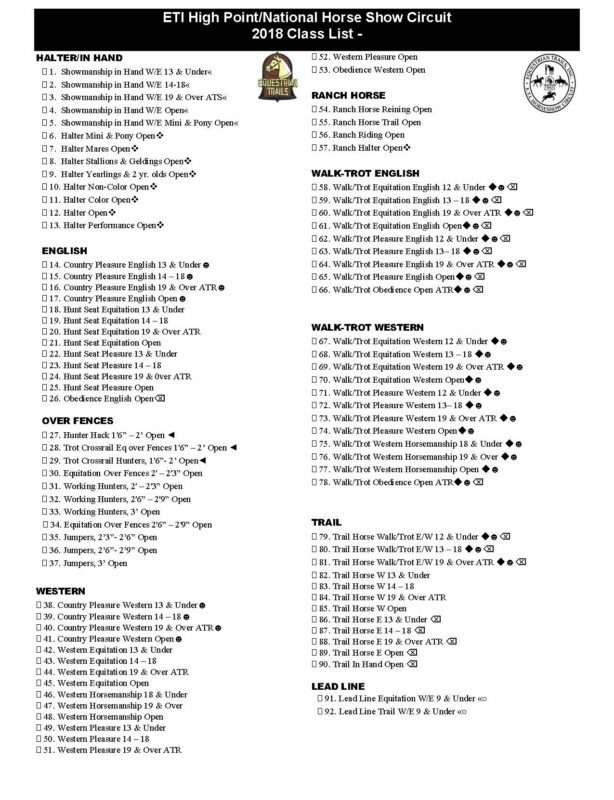 You may print a copy of the 2018 division list here. You may print a copy of the 2018 class list here.